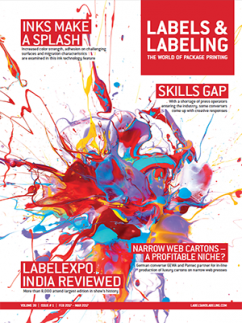 As the label industry moves into 2019 it becomes ever-more interesting to look at where label and package printing production technology is taking us, particularly in terms of the installation and use of hybrid printing presses. From early beginnings with the retrofitting of CMYK inkjet heads on to existing flexo presses just eight or ten years ago, hybrid printing has advanced rapidly, moving through flexo press manufacturers building digital into entry-level hybrids with flexo options for spot colors and/or cold foiling, plus finishing, to today when every significant traditional analogue label press manufacturer has a high-end hybrid press with five to eight color inkjet heads, complemented with anything from two to eight flexo stations and various in-line finishing possibilities. Announced in 2018 were new manufacturers of hybrid label presses built in India and China, while several more manufacturers are in the pipeline for launching hybrids in the coming year. 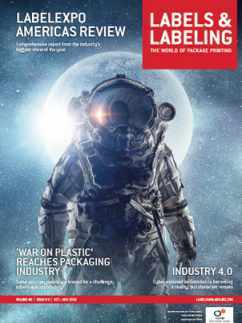 With some of the wider web hybrid label presses also marketed for flexible packaging, this seems to be prompting some of the key wider web and sheet-fed package printing press manufacturers to also enter the hybrid market. Put together, there are now estimated to be in excess of 150 or so hybrid label presses installed worldwide, with many smaller label converters opting for retrofits and entry-level hybrids, and multinational converters going for top of the range 8- to 14-color (combined digital and flexo, or sometimes including rotary screen) presses for producing creative labels for luxury branded goods. Hybrid options It is easy to understand why smaller converters invest in a hybrid retrofit system. They can add a CMYK + white inkjet unit onto one of their existing flexo presses at a relatively low investment. They still have their flexo capability, can build their digital business, and use the flexo press finishing capability for die-cutting and slitting. Even the entry-level hybrid machines purchased from a press manufacturer are still relatively low cost. But what about a major (perhaps US$1.5m plus) investment in a multicolor hybrid press with CMYK + OGV and white inkjet and five or six flexo or rotary screen stations? For many global luxury brands, digital only or flexo only is no longer enough. They are looking for more creative, luxury looks. Many are asking for the obvious digital solutions – multiple SKUs, variations, short-run flexibility, on-demand re-prints, variable or changing content – but are now also asking for metallic gold, silver or colored inks, for cold foiling, special spot colors, tactile effects, all where flexo or screen printing can provide good results. 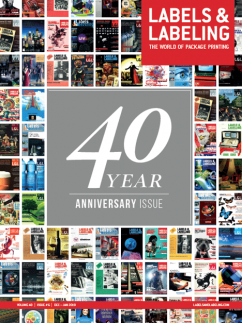 There also seems to be an increase in the requirement for adhesive side printing, again requiring flexo printing and delaminating/relaminating units, as well as in some cases the production of multi-layer label constructions (peel-and-reveal) with a flexo station and laminating options built into the hybrid press – either before or after the inkjet heads. 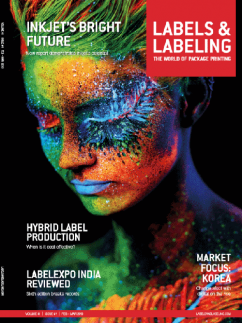 Quite simply, there is a demand for hybrid label presses to produce a variety of new label solutions and applications that were impossible – even unthinkable – to achieve just a few years ago, while outside of labels, the future possibilities to take flexible packaging down similar high added-value solutions is starting to become achievable. Think of a hybrid flexible packaging press with rotary screen for opaque white and other colors, digital for the short-run and multiple SKUs, plus flexo for metallic inks and cold foiling. A new world awaits. 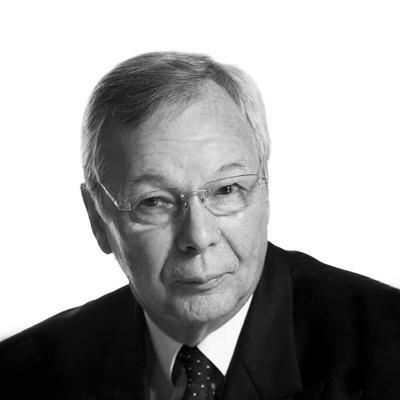 What about the financial viability of hybrid press investment? Label converters that have purchased hybrid presses, whether retrofit or high-end multicolor, all have much the same response. We can do much more, be more creative, produce the unthinkable – all on one machine, with one operator, one set-up, one reel change, one inspection – and what comes off the press is ready for shipping, without any further processing. 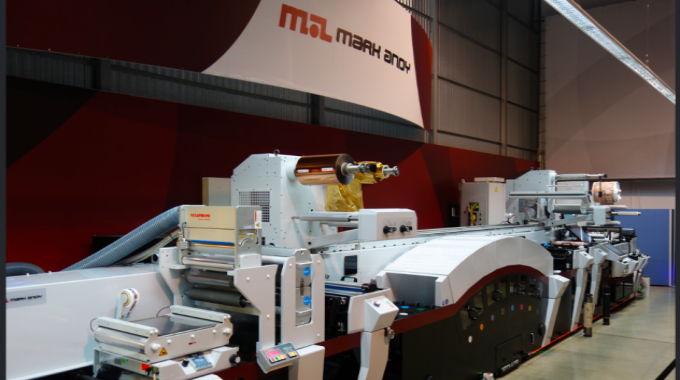 More flexible, more opportunity and more profitable than a digital press with off-line (limited) finishing. There seems little doubt that the label and package printing industries will see even more investment in hybrid presses in the coming year. 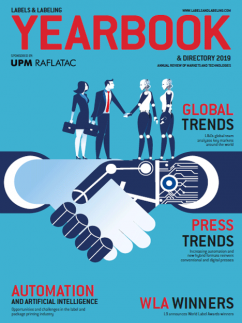 With something like 20 press and equipment manufacturers now building or providing hybrid press technology, from entry-level to global brand converter level, their marketing and sales push to the global converter world will most certainly intensify in the coming months.